Audio cables are among the most important accessories that audiophiles pay close attention to in music. Most of them can spend thousands of bucks to get the best audio quality possible. Some audiophiles claim that audio cables can make or even break their hi-fis sound, but some of them don’t believe in this and go for the cheapest audio cables. Debates on audio cables have existed for many decades, but the only way to know which piece is quality for sure is to try one of the most expensive cables of all time. Here are some of the most expensive audio cables currently on the market. This is the most expensive audio cable of all time. It costs $40,000. The audio cable combines most of the recent technology in insulation materials, metallurgy and construction techniques. Moreover, its Royal signature series makes the user delve deep into musical soul while keeping the video and audio signal clean and free from noise. 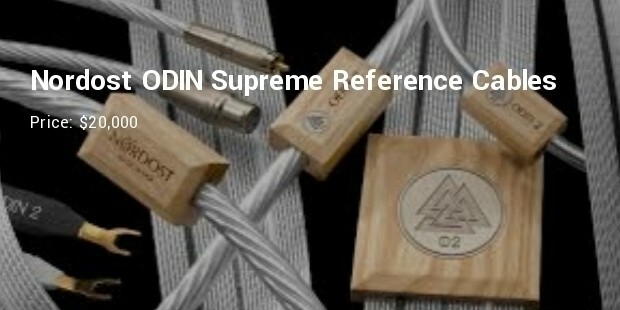 Nordost is widely known for their scientific approach in audio/visual cabling. 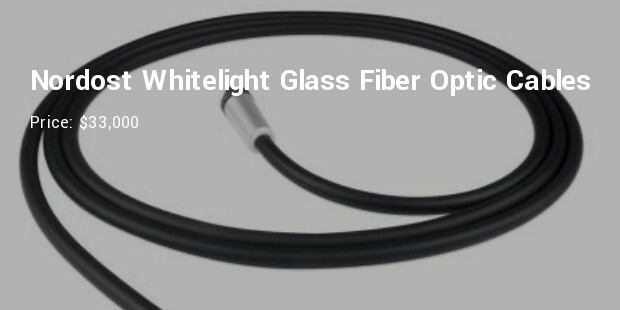 The optic cable is made for two or more channel audio systems and for audiophiles looking for higher-level signal transfer. When used in High-End Multi Channel home theater systems, the cable provides outstanding results. The audio cable is made of 99.99% oxygen free copper, which screams of a higher quality sound and has 23 conductors. 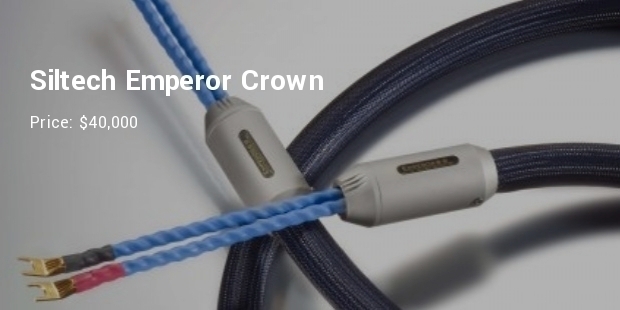 The manufacturer makes the conductors with ‘Precision Dual Micro Mono-Filament’ design. Furthermore, the conductor has a high purity class-1.003 extruded Fluorinated Ethylene Propylene (FEP) insulation. 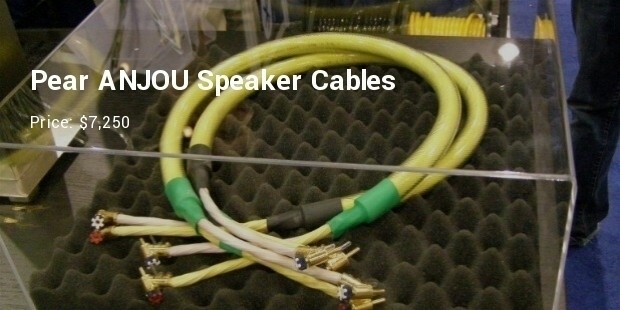 ANJOU Speaker Cables from Pear Cable Corporation has a length of 12 foot and retails at $7,250. The cable allows you to explore newer sonic accuracy levels. Purportedly, the proprietary hybrid geometry, the fully annealed 99.99% “pure oxygen free copper” and the “ultra low electrical reactance” accomplishes the exploration. For many decades, audiophiles have dished out lots of cash to attain higher-level sonic perfection. But, have the expensive high tech audio cables enabled them to achieve the sonic perfection or are the many efforts a total waste? Many people will have different opinions, but whatever the case, these cables aren’t going away.